I think I may have outgrown my little round dining table-turned-desk. I find myself without enough room for my computer, my papers and client folders. And forget about ever using it to actually eat a meal, most of that happens japanese style at my coffee table. I'd love to update my dining nook/office with a larger rectangular table and about three of those mint filing cabinets, plenty of storage for both files and my great-grandmother's silver. 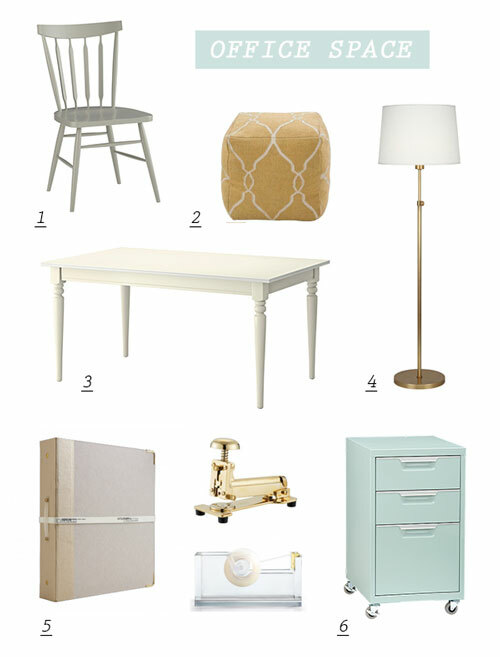 Then I'd like to commit myself to gold and acrylic accents with the same Russell + Hazel binder for each client/project. And because I cannot sit like an adult, a cute little cube to rest my feet on. Many business sometimes some extra space for meeting or conference. There are some firms which provide affordable meeting rooms in miami, video conference studios or business lounge.